FC Barcelona turned in a complete performance on Saturday afternoon at Camp Nou, vanquishing Athletic Club Bilbao, 3–0 (Match Report), on goals from Paco Alcácer, Lionel Messi, and Aleix Vidal. Vidal's goal was Barça's 100th of the season as a team. The victory provisionally puts Barça within just one point of first place in the La Liga table. But it was even sweeter given Vidal’s performance. Having notched two goals and four assists in his last seven games, the 27-year-old full back is peaking at a key moment in the season. On the goal, Vidal deftly swerved through traffic in the midfield but crashed into Neymar before getting the shot off. 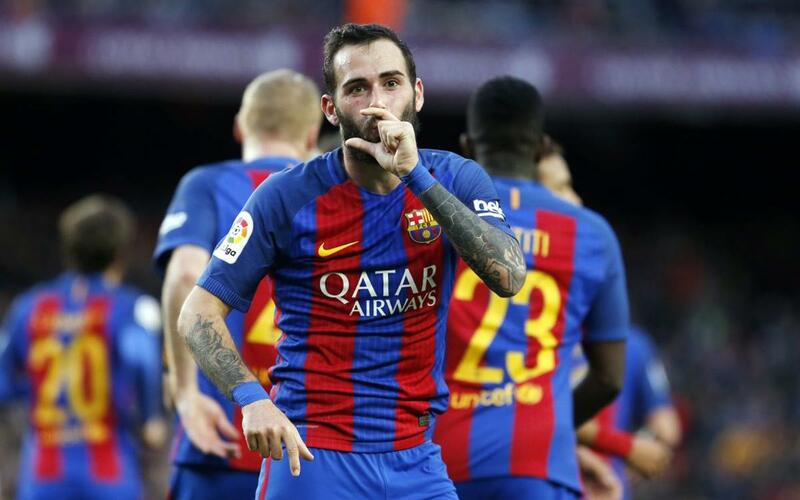 But despite his propensity for generating offense in the last few games and several menacing runs on Saturday — including one that drew a foul and set up Messi’s free-kick goal that made it 2–0 — Aleix Vidal is not attempting to become the fourth member of the trident. “Having Messi, Neymar, and Suárez is the greatest thing that can happen to a football team,” he said.